Residential, commercial, construction, and industrial outreach materials are available through this website. All outreach materials have been saved as high-resolution, press quality pdf files, and may be printed in-house or at a commercial printer. 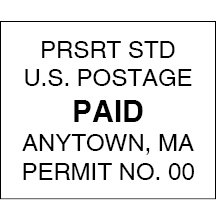 If you are planning to mail materials, don’t forget to include your return address, as well as proper postage or indicia (postal permit used for bulk mailing). Check with your printer or town administration for more information on how to handle bulk mailing. Click on outreach category below to get printable pdf files.